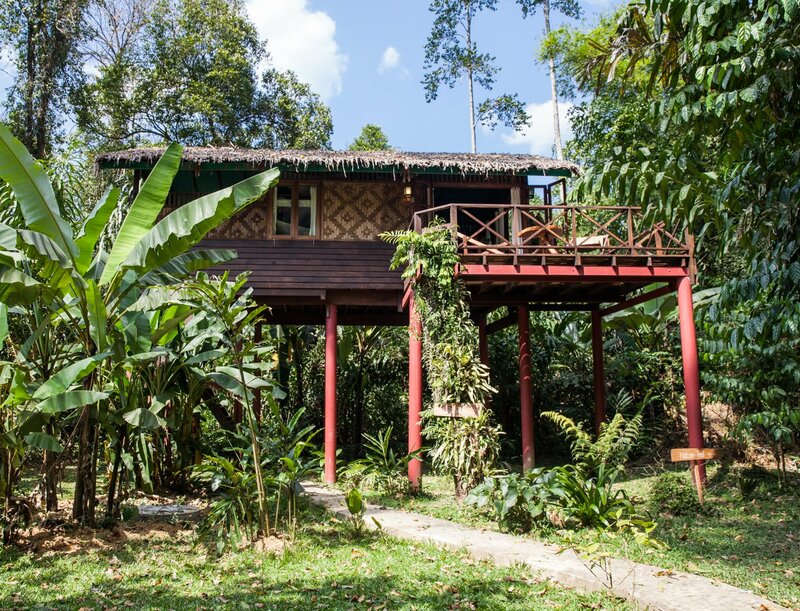 A Deluxe Tree House with a big deck for star gazing! 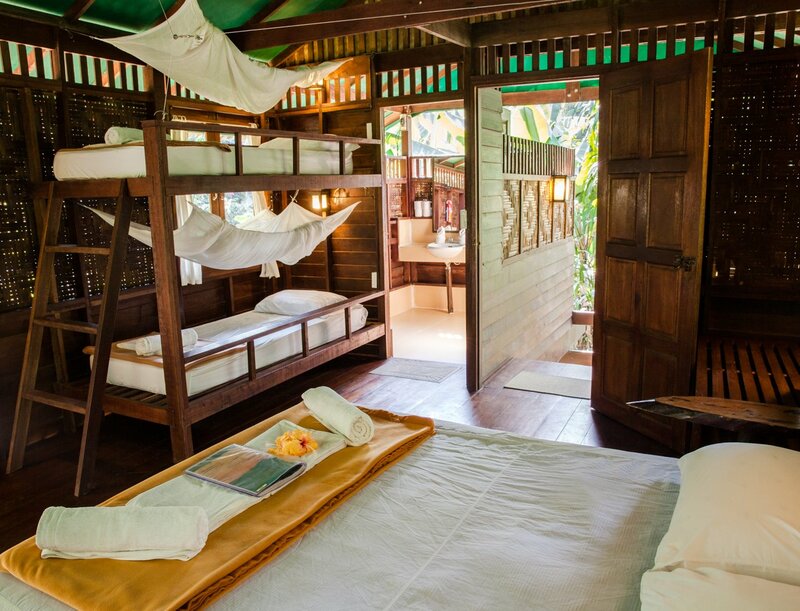 A secluded, spacious treehouse perfect for a group of friends or family with a sense of adventure and a love of comfort. 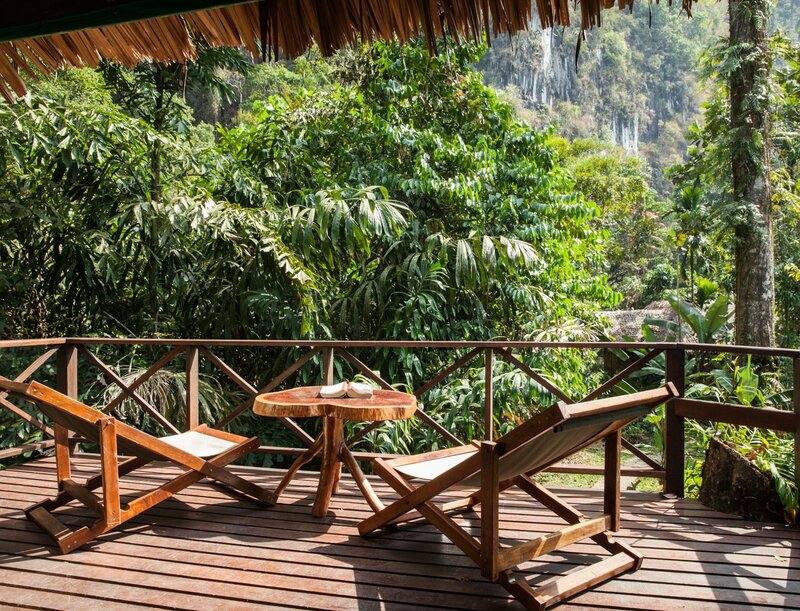 Settle into one of the comfortable deck chairs on the lovely large deck for stunning day time views of the majestic cliff face and surrounding jungle. If the skies are clear, this is one of the best views of the stars in Khao Sok! 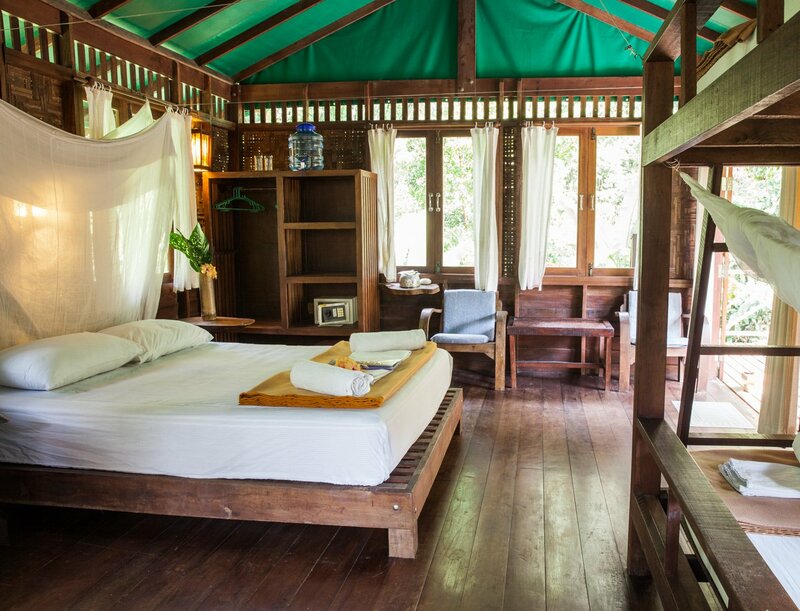 Situated at the end of the resort on our gorgeous nature trail, Liana offers an unforgettable Treehouse experience.